Edwards Gibson were proud to host a table and sponsor the award for ‘US Law Firm of the Year' at the Legal Business Awards 2017. 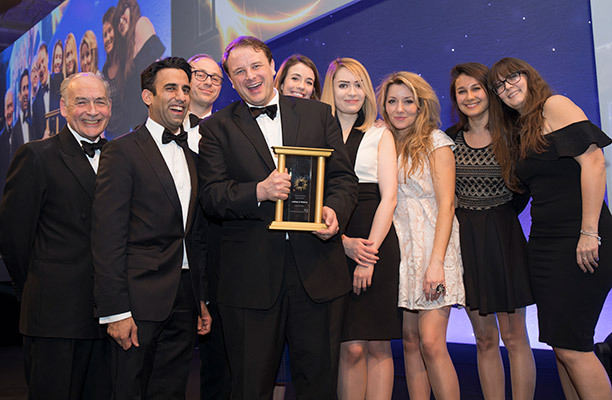 The event took place last Thursday 23rd March at The Grosvenor House Hotel on Park Lane, and as always, was a notable highlight in this years’ legal awards season. Director Sloane Poulton was delighted to present the award to Latham & Watkins led by Oliver E. Browne, heading off stiff competition from other nominees: Fried, Frank, Harris, Shriver & Jacobson; Goodwin Proctor; Paul Hastings; Quinn Emmanuel Urquhart & Sullivan; Sidley Austin; Sullivan & Cromwell. Awards were presented to more than 1,000 guests in a ceremony hosted by former Labour party chief press secretary and communications strategist Alastair Campbell, and the event was preceded by a reception to mark the launch of this year's GC Power List report. Well done to Latham & Watkins!